The Difference between good and GREAT in classical music is an online article comparing two recordings of Shostakovich's Fourth Symphony. This is one truly great listening experience, because the given sound samples can be paused, then you can listen to a short section on the other recording (good vs. GREAT!) and then re-start the paused recording. 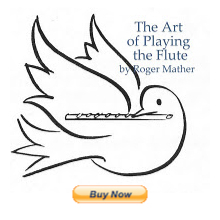 A fabulous instant-listening educational experience for all musicians. The lyricism and emotive power of the Chicago Symphony interpretation is immediately apparent. And check out the complexity of the characters in the woodwinds! Both are super fine orchestras, but just with different personalities of players and conductor. (I agree the tempos were stodgy and their wasn't as much drama in the Dutch recording--that's the conductor's interpretation. ) I love the sound of the Chicago Symphony winds but the strings always seem opulent but a little mushy and lacking in brilliance on recordings--though they play with amazing ensemble and technique and have lots of presence when heard live in Orchestra Hall. I especially like the blend, clarity and openness of the sound of the NRO woodwinds. They also seem more rhythmic. The CSO winds are more sololistic and have individual character with lots of musical expression. Really, we are comparing salad, bread and pork chop vs steak and mashed potatoes with rich sauces. Both tasty, filling, and full of vitamins and energy. Thanks Jerry for your juicy thoughts on the sound and character. Lots to think about now as I listen back for all those effects. Quite right; most startling is the clarity and nearness of the Chicago recording; better style of microphone placement and almost a "reach out a touch" nearness to the players. I much prefer it. I am JUST starting to play the flute...and have my first lesson tonight with a teacher in Queretaro, Mexico. Thank you for your site! It's great for a beginner. And now if I can only get sound for C in the first octave. Many thanks! I loved this exercise. It's always really wonderful to hear the differences and I do think Jerry said it best in his last paragraph. Pork Chops are good too, but steak, well...He left out the fact that the pork chops come with fruit punch and the steak comes with a finely aged wine.